In 1969, when her husband took an assignment at San Diego State University, Joy Zedler, who had also earned her PhD in Botany at the University of Wisconsin, found herself moving to southern California. Little could she have known at the time that this move would end up shaping her career and putting her on a path toward becoming what she is today: one of the nation’s leading experts in coastal wetland ecology. 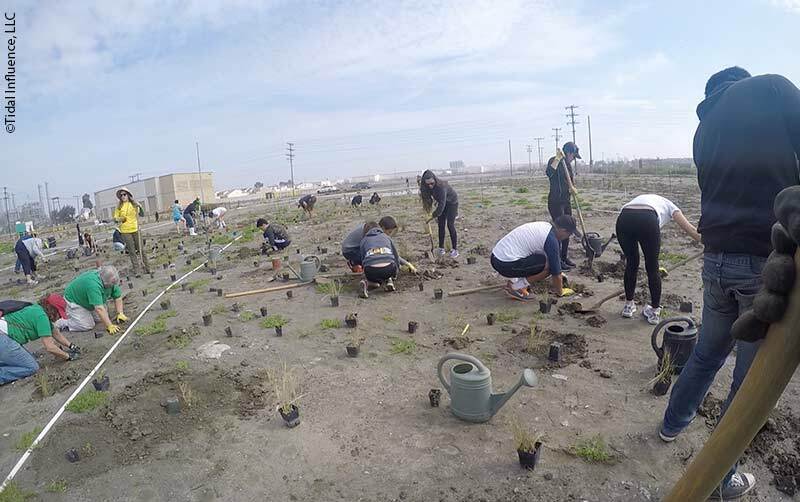 After joining the university faculty herself, she began leading students on trips to the salt marshes of the Tijuana Estuary, where they could study the rapid changes and response of marsh vegetation at different elevations to human activities.. Soon after those trips began, she met Mike and Patricia McCoy, citizen activists who had kept much of the Tijuana Estuary from becoming a marina. (They are still protecting the Estuary today.) That exposure to the McCoys, combined with her growing body of knowledge about salt marsh and estuarine ecology and passion for problem-solving, ultimately led her to continue teaching and researching coastal wetlands, and to create and direct the Pacific Estuarine Research Laboratory at San Diego State University. Today, Zedler is Professor of Botany and Aldo Leopold Chair in Restoration Ecology at the University of Wisconsin. Her research concerns wetlands, restoration, and conservation of biodiversity and ecosystem services. She teaches Adaptive Restoration, helps edit the journals Restoration Ecology and Ecosystem Health and Sustainability, and advises many organizations on restoration and wetlands. She is a Fellow of the Society of Wetland Scientists and a Fellow of the Ecological Society of America. 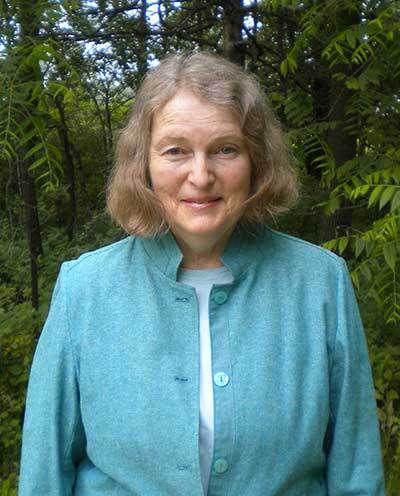 She has been a member of The Nature Conservancy (TNC) Governing Board; Wisconsin’s TNC Board, the Environmental Defense Fund Board of Trustees; Wisconsin Natural Areas Preservation Council, and several professional societies. As Director of Research for the UW Arboretum, she seeks to improve restoration effectiveness. She also just published Salt Marsh Secrets, an e-book describing how research uncovers wetland secrets (all 21 chapters can be downloaded free). 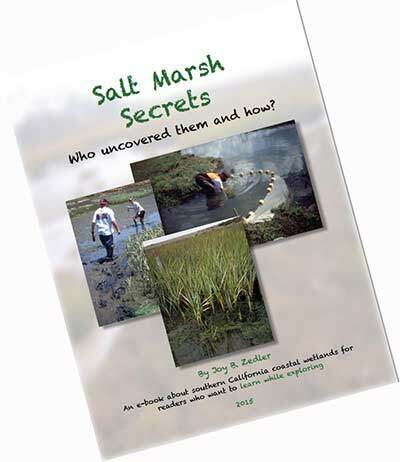 Why did you decide to write Salt Marsh Secrets? To personalize research in ways that might attract young investigators to make future discoveries. I wanted to honor the work of many collaborators in a format that could reach a broad audience, and I wanted to give something understandable back to the sources who funded all that research. What prompted you to dedicate an entire chapter to the subject of restoration? That was a no-brainer. Restoration science has been a focus of my research since 1976, when I received my first grant to figure out how to grow cordgrass. The hard part was confining the stories to a chapter, which is why some of the same projects and people appear in multiple chapters. In the e-book, you share many discoveries you and your colleagues have made during the decades you have spent studying coastal wetlands in southern California. In the restoration chapter, you write, “Hydrologists can calculate tidal flows and predict soil erosion based on slopes and elevations and soil types, but many biological components are usually left out of the models.” Based on your research and experience, what are some of the most important “secrets” to unlock regarding the biological components or factors that can come into play in salt marsh restoration? The overall secret is that water, soil, animals and plants all interact, and restoration has to address them all as critical components of a complex ecosystem. In salt marshes, a model based on intertidal elevation can predict where cordgrass will grow, but it can’t predict if the cordgrass will grow tall enough to support endangered rail nesting. Our research demonstrated that cordgrass was nitrogen-limited and that sandy dredge spoils would never support tall plants, even though the elevation was appropriate and the plant was initially present where planted. The ebook references the 1985 attempt by CalTrans to restore cordgrass habitat for the endangered light-footed clapper rail (now called Ridgway’s rail) in San Diego’s Sweetwater Marsh. The restoration was intended to offset habitat damage caused by the widening of a freeway. You were involved in monitoring the progress—or lack thereof–of that restoration. I have seen that effort referred to as a “failure” and “an ecological counterfeit.” How would you categorize it? What are the key lessons learned from the Sweetwater Marsh project, and do you see those lessons being applied today? I think of it as a turning point for the field of restoration ecology, because It was a “first” in many aspects—a first mitigation project with clear, science-based criteria; a first project that allowed us to do field experiments to test why some criteria were unmet; a first in producing multiple publications to support our interpretation of monitoring data; and a first to quantify how and why mitigation requirements were not being met. I try to avoid using the highly subjective terms, failure or success; in fact, we wrote a paper about restoration progress or “trajectories,” and how there can be progress toward one target while moving away from another. Let’s talk about “success” for a moment. There have been many studies exploring the shortcomings of wetland restoration. As a member of the Association of State Wetland Managers’ Wetland Restoration Working Group, you have been contributing to a white paper that identifies the reasons behind many of these shortcomings and recommends actions for addressing them. Despite mounting evidence of poor restoration success rates, an informal poll you conducted using Internet searches showed that “ecological restoration success’ garnered 530,000 hits but “ecological restoration failure” only four. Can you elaborate on the dangers of the word “success” in planning and implementing coastal habitat restoration? I’d love to. I see the term “success” used subjectively, without definition, and it means something different to everybody who uses it. It is not a scientific term; it’s a value judgement. Everybody wants something to be a success, and no one wants to have a failure. We have a real problem with that term. We’d be much better served if we talked about “progress” and “effectiveness” in terms of how many criteria are met. If we insist on calling everything we do a success because it makes us feel good or justifies the use of funds, we will never learn how to do things better. Our work [at the Sweetwater Marsh] was pivotal because it culminated in the production of the Handbook for Restoring Tidal Wetlands, which has become the standard guide for restoring southern California coastal wetlands. I would also say that that criteria for deciding whether something is restored have strengthened as a result of our work. What about the secrets you unlocked about the way cordgrass grows in restored sites with sandy dredge spoils and how that relates to coastal habitat restoration? Has that knowledge been applied to other efforts to protect clapper rails? It has at least prevented more money from being wasted trying to restore clapper rail habitat in sites with sandy dredge spoils. In San Diego Bay, the Port has to keep the shipping channel dredged. They have dumped huge amounts of the dredged material in [an 80-acre area known as] the D Street Fill. We now know that it is not feasible to turn that place into clapper rail habitat, and [efforts to do so] have stopped. 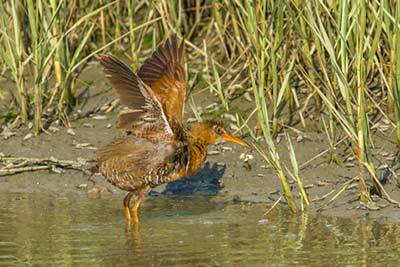 Instead, agencies are doing other things to save clapper rails, like breeding. The U.S. Fish and Wildlife Service has reared and trans-located birds to restore populations, and now the numbers I have seen are larger than they have been in a very long time. In the book, you pose the question, “Which do you think is more difficult—making a degraded salt marsh as diverse as a natural one or getting it to perform as it once did?” What is your answer to that question? Which is more important, diversity or function? Both. Neither target can be hit exactly; besides, they’re not independent—to move toward natural diversity, you need the system to become more able to sustain historical biodiversity. The critical function of resilience and self-sustainability are intricately linked to achieving and sustaining diversity. Are there any other key “secrets” you can share that apply to the restoration of all types of coastal habitats? A very basic secret is how soils develop and function over short and long time periods, across a range of restoration efforts (from rock mine tailings to plowed peatlands). We haven’t discovered how to restore soil structure and function yet. Other researchers have learned that it takes a long time for a highly degraded soil to accrue attributes similar to those of undisturbed soil. Jim Harrisat Cranfield University in the UK has devoted his career to understanding soil restoration. Others are revealing secrets about how the genetic make-up of plants affects the pace and direction of restoration. For example, if one plants a native species that has evolved in response to exotic invaders, that native might be better able to grow when “confronted” by the same invader in a restoration site. It’s an exciting new arena in restoration research. There are also secrets about whether invasive plants leave a legacy after they have been controlled; the soil chemistry and biota might not be the same as before invasion. While there are many assumptions that the animals will follow the plants in restoration sites, we don’t know the extent to which that is true, or why some species do and others don’t. There are probably far more secrets that remain uncovered than have been revealed. That’s why I hope the eBook will entice young investigators to delve into salt marshes. Your research has involved habitat restoration on the coasts of oceans as well as the Upper Midwest, including some work in Great Lakes wetlands. What has your research revealed about some of the important differences and similarities in restoring habitat in these different coastal environments? There are huge differences between a place that has a regular tidal regime, where water is rising and falling, and sea level is rising, and the Great Lakes, where water levels also rise and fall, but much less predictably. So the planning can be more difficult [with Great Lakes coastal habitat restoration]. In the Great Lakes, the water is also not renewing as rapidly as it does in the ocean. In an embayment like Green Bay, you have to worry more about cleanup after a disturbance event, whereas you can rely a bit more on passive restoration next to the ocean. The BP spill in the Gulf of Mexico would have been less of a problem if it had been on an open coast, and much more of a problem if it had been in Green Bay. On the tidal, open ocean coast, it is very clear that global glacial melting is already raising sea levels and will continue to do so. There are also strong predictions that storms will become more intense and more frequent. That latter part will also occur along the Great Lakes. Restoration gets harder when the conditions become harder to predict. We don’t pay nearly enough attention to the importance of extreme events. 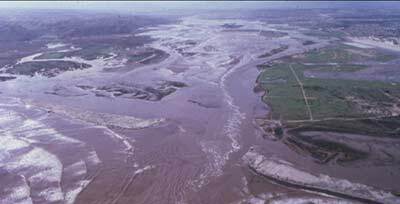 I was fortunate to have been working at the Tijuana Estuary when there were lots of storms, floods, and sedimentation events. Already, that understanding seems to be lost. That’s part of why I wrote Salt Marsh Secrets, and why I included a chapter on sedimentation, which features photos of the impact of those storms on the Estuary. I want to make sure people realize what it is like during extreme storms. So greater unpredictability is a key difference to consider when it comes to restoring coastal habitats in the Great Lakes. Other than looking back at past extreme events, how can those involved in planning and designing habitat restoration projects on Great Lakes coasts better plan for unprecedented, extreme weather and climate change impacts? Scenario envisioning is a very powerful tool. This is where you try to get people to think independently of the worst thing they can imagine and then bring everyone together ask them to combine all of those things. For example, “What if you had a big storm, and it caused an oil spill, which was followed by an unprecedented drought? What would you imagine the impacts would be, and how would you try to restore after the damage? Or, let’s say all these things happened in a different sequence? Damage to habitat can be very much influenced by the sequence of events. In 1983, we had a big storm that dumped so much sand into the Tijuana Estuary that its mouth closed. In 1984, we didn’t have any rainfall. That had a huge impact. If we had had the drought when it was fully tidal, the estuary wouldn’t have noticed. In a 1998 piece put out by NOAA on coastal habitat restoration, you and four other experts were asked two questions. I’m curious to know how your answers to those questions may have changed since then. The first was “How effective is habitat restoration in addressing human impacts on the coastal environment?” Your response back in 1998 was: “The effectiveness of habitat restoration efforts depends on the degree of degradation of the region and the quality of the restoration site. The challenge is greatest in areas like southern California, where only a tiny fraction of the native coastal wetland habitat remains and where restoration sites are highly urbanized. In such places, the loss of habitat has led many wetland-dependent species to the brink of extinction, and bringing back their populations requires more than piecemeal restoration efforts can offer.” Has your answer changed? How effective do you think habitat restoration is today? That answer has stood the test of time, I think. Habitat restoration is becoming bigger, bolder and more bodacious, as the plans for Ballona Wetlands and Los Cerritos Wetlands indicate. Planners are thinking at larger spatial scales (whole estuaries, not just parts of a salt marsh) and longer time frames (enough to contend with rising sea levels and climate change). These approaches will make projects more effective in restoration of biodiversity and ecosystem services. Are the lessons learned from Sweetwater Marsh restoration, including the importance of long-term monitoring, being applied to those two projects? Yes, the knowledge gained [from Sweetwater Marsh] is definitely being applied. We didn’t just do the research; we published it, and it had a very strong, scientific basis, so it was irrefutable. The recommendations for monitoring are there. Whether they will be implemented to the degree needed is another question. People have been calling for monitoring for decades. Some say there ought to be a 10% surcharge on all big engineering projects so that research and monitoring can take place. But I haven’t seen that in any kind of policy. With enough people calling for long-term monitoring, it is improving, though. What was special about our contribution was that we didn’t just monitor; we tested things. I don’t know how often you find a faculty member with graduate students and access to research funding living near an estuary for decades. It was an unusual situation. I made a lot of things happen [at Sweetwater] but I was very lucky to have had an arena where I could. The second question from 1998 was “What developments are most necessary before coastal habitat restoration can adequately address the range of human impacts on the coast?” Your response: “A stronger science base and a conscientious effort to incorporate science in the restoration process are the hope for the future. At Tijuana Estuary and at San Diego Bay, we use restoration sites to facilitate research and research to improve restoration. While these adaptive management efforts do not guarantee that restoration targets will be reached, the approach identifies the causes of various problems and allows us to predict whether the target can be reached in a timely manner. Effective restoration in southern California requires that research be an integral part of the program. I stand by that answer, too. We can always learn while restoring, and learning is more efficient when done in an adaptive restoration framework (controlled field experiments) rather than shooting from the hip. Knowing where to plant salt marsh bird’s beak at San Diego Bay won’t necessarily tell a restorationist exactly where to plant it at another site, although there should be fewer unknowns as more tests and outcomes accumulate. How far has coastal restoration science come in the last 16 years? More and bigger projects have taken place, but without as much dedicated research to explain outcomes. Money goes toward planning, engineering, construction, and then what? The wait-and-see approach tells you what happens, but not why. Generally speaking, what actions can you recommend for people who want to support or get involved in the protection and restoration of coastal habitats? Join a like-minded group. Try a membership in the Society for Ecological Restoration (SER), which has regional chapters and provides a monthly list of activities around the world. There are so many groups, each with a somewhat different objective. People have choices to focus on birds, wildlife, plants, ecosystem types, etc. The problem is narrowing the search for a place to make a difference. Start with a local organization; visit nearby visitor centers, check out web sites, attend a meeting, talk to conservation leaders, volunteer to help with a work party, read a lot about the place and the resources, and decide where to make a difference. Be assured that individuals can make a difference. What is your hope for the world’s coastal habitats? I hope that the value of these ecosystems is more appreciated and that along with that, there will be fewer negative impacts and better restoration of resources that are degraded. I’m an optimist. We know what to do, but that information isn’t always what dictates what we do. We can’t blame the inability to restore coastal habitats on lack of knowledge. There is plenty of knowledge, and there are plenty of talented practitioners. It’s the will. That is why my most recent effort with the University of Wisconsin Arboretum was to recommend a wetland ethic. In the absence of suitable regulations, and in the absence of compliance and enforcement when there are regulations, [the protection of wetlands] has to come from within. People have to understand wetlands and want to protect them.